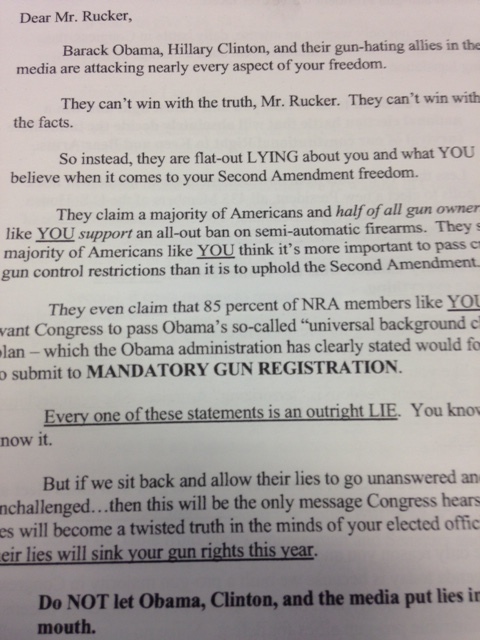 The National Rifle Association can teach a mastermind class on copywriting. Confession: I own a few guns. Sue me. However, I have great news: my gun ownership and NRA membership can help you, whether you appreciate the hog-stopping power of a .308 or you want to slap the rifles and pistols and suppressors out of my liberty-loving, red-white-and-blue-stained hands. ‘Murica! 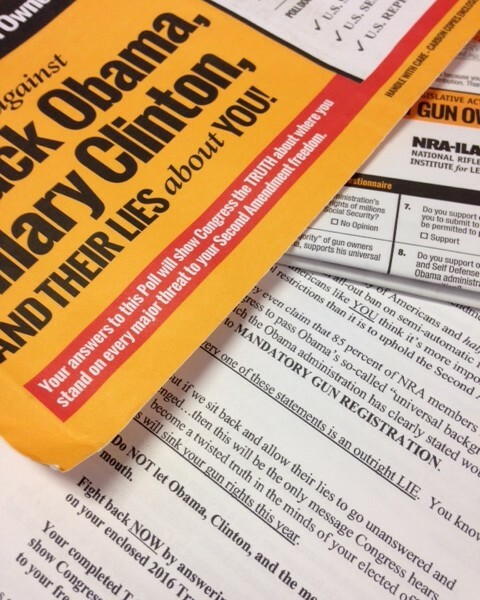 The NRA rocks at communication (some would say propaganda), but they rock particularly hard with direct mail, which is their main method for reaching their masses (I include letters, giveaways and propaganda-pieces-disguised-as-magazine-subscriptions). Really, these guys are brilliant, whether you hate them or not. 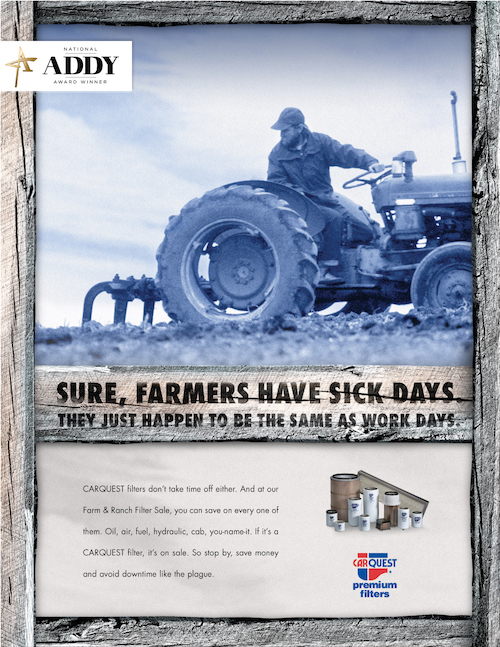 I have a recent direct mail piece that proves their brilliance as it pertains to persuasive copywriting. Is it crass? You bet. Is it effective? Damn right it is. So far in 2016, the NRA has received $11,704,992 in fundraising (as of February 29, 2016).1 That’s $11.7 million in only two months! Here are few tips and tactics they use in their direct mail. Note: Will they revoke my membership for dissecting this direct mail piece? Quite possibly. Are they watching me right now as I write this in Coffee Underground in downtown Greenville? Yes, yes they are. They just picked up my coffee and poured it over my head. They use my name. 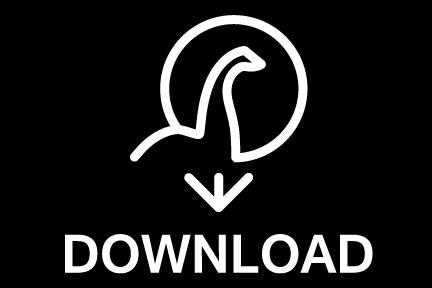 This is basic marketing, of course, but you’d be surprised how many companies still use “Dear recipient” or “Chad Rucker or current home owner.” The “current home owner” moniker really presses a person’s buying button. It’s like when you’re at a party with your significant other and you have to introduce them to someone and you forgot that someone’s name. Um, hey, buddy! FIGHT BACK against Barack Obama, Hillary Clinton, AND THEIR LIES about YOU! Wow! They’re telling lies about me? Holy smokes! Do I really believe this? Of course not, but you better believe I’m opening this direct mail piece. Things that freak gun owners the hell out? Check. Hint of how to remedy the situation? Check. I wouldn’t suggest that you base every communication piece upon fear, per se, but scaring the bejeezus out of your audience is not a bad (occasional) pursuit. Psychologically, it works wonders. Just don’t be so crass about it. Have some class, people. 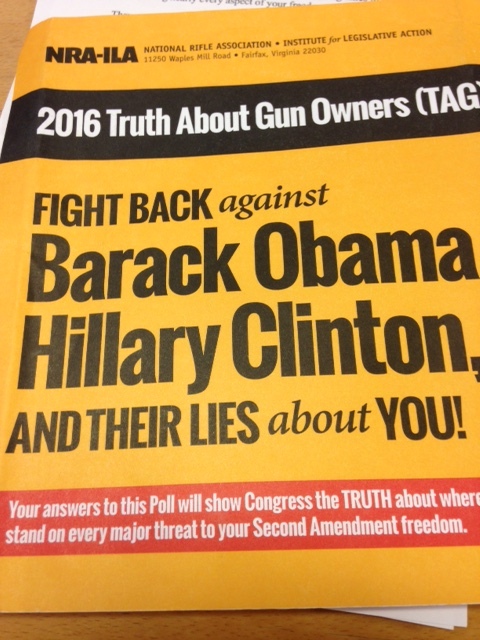 Seriously, how is a gun owner NOT going to open this direct mail piece. The NRA is basically shaking the reader by the shoulders and slapping them across the face. Not unlike the Three Stooges. By all means, keep your sentences short. I’m not a fan of 1,000 underlined phrases and bold phrases and exclamation points, but it really depends upon the brand you’re representing. And hell, what do I know, I haven’t attracted $11.7 million in two months. Maybe I should try it sometime. WANT MORE REVENUE? Do you want to rule the world and eat grapes from the hands of models? HERE’S HOW: Give your readers a clear, compelling call-to-action. Alright, that’s enough drama. The NRA has a simple, “two minute” call to action in this direct mail piece: fill out a poll that the NRA will then send to my representatives. The NRA will amplify my voice, theoretically, and we will stop the enemy from, I guess, lying about us and stuff. If you haven’t read Robert Cialdini’s book “Influence: The Psychology of Persuasion” then hop on Amazon right now and get IT for pennies. It’s brilliant. One of Cialdini’s principles of persuasion is “Commitment and Consistency.” Basically, he says that human beings have a deep need to be seen as consistent. Once we publically commit to something, we are more likely to follow through. Back to the enclosed poll. 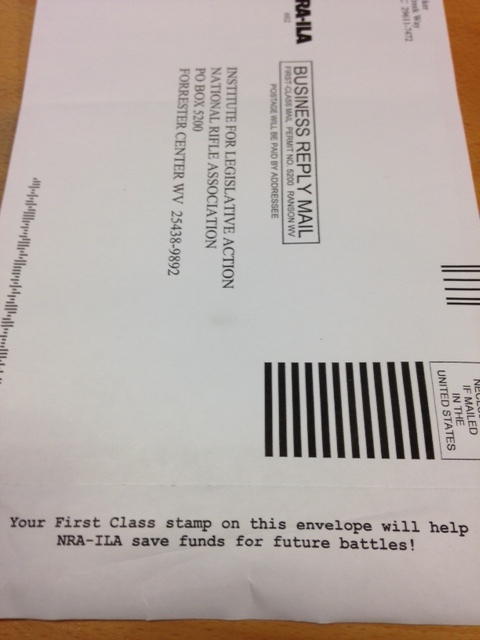 Do you think the NRA really wants me to fill out a poll and have my voice heard? Nope. They want my money. And by getting me to commit to a stance (the poll) they know that I will most likely commit to support “the cause” (give more money). The “cause” is bigger than one person. The NRA wants to wrangle up all gun owners into one powerful tribe, fighting against a common enemy. Bravo, NRA. They give you one powerful thought, even as you’re slipping in that check you just wrote: this battle will continue. That, dear reader, is thoroughness. No stone left unturned. The NRA could, of course, push comradery and togetherness, but they found that fear-based marketing works for them. And obviously it’s working. They raise an Uncle Scrooge amount of gold every year. Find the pain points of your customers and prospects. Offer to solve the pain points. Where do you find these pain points? Note: Your client will say they know the pain points of their customer. But if they’re coming to you for help, there’s either a gap in their knowledge or their marketing is abysmal. 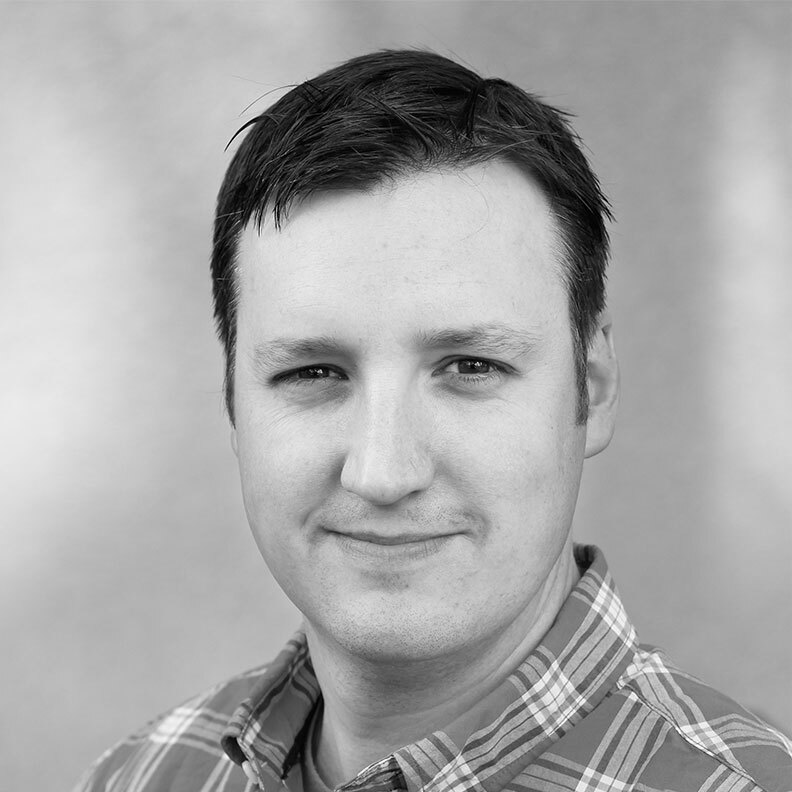 Do the homework on your own, whether you think the client is right or not, and start digging. Now I’m off to go play with my guns.